Happy New Year! The Blainletter lives on another year. If I didn't keep running into people who tell me how much they enjoy it, I might have abandoned this. Nor will I abandon playing guitar just because I'm not drawing big crowds or selling loads of CDs because when I do have occasion to play, like at a kitchen party last week, I'm glad to look out and see some smiling faces who seem to enjoy what I'm doing. More than once in the last year, I've been with musician friends – some far more established than me - but equally discouraged, and we just throw our hands in the air saying "what are we gonna do? We're not going to stop playing guitar." I'm still working on my "back-up" plan - an instrumental show for the "non-listening, non-interested" crowd with my "hyper looper," aka Robot Johnson. I had really pulled out the stops to get it presentable for some special events in the new year but it's still not stable or ready for prime time. And just this week the MIDI pedalboard broke down so I'm going to have to deal with that. What are you gonna do… – it's a lifetime project and nobody ever accused me of being in a rush. Things might move along a little quicker now that I'm hooked up with a world-wide open-source project by the Google Brain Team called Magenta which is focused on using Artificial Intelligence and "machine learning" technologies to create tools for musicians. On a positive note, it looks like I broke through my writer's block (3 or 4 years since I wrote a song) but now I've got a tune and a half in the works. The new one is called "I'm not 50 anymore." Over the last year, I've been asked regularly "when are you going to have another Campfire Jam?" and my usual answer was that I was just getting too old to schlepp my bass, a couple of guitars, amp(s) and all or part of a PA system through proverbial sleet and snow. How well I remember trying to dodge the traffic as I made my way across Bayview while carrying way too much gear. And what started out as a decent payday for me and a complimentary beverage for the jammers worked its way down to everybody playing for free and and an expectation that they would bring along some paying customers. The final existential blow was an underlying attitude from "industry" people that jamming was a frivolous waste of time for any musician who was serious about building a career/business. But lo and behold, the Campfire has been given a new lease on life by an unlikely angel – the venerable Old Mill which has been presenting jazz, and nothing but jazz, for 3+ nights a week in their cozy Home Smith Bar for the last few years. After I did a couple of shows there (the only blues shows on their calendar), I have been invited to have a monthly Campfire Jam starting March 11 'til June on the "Second Saturdays." 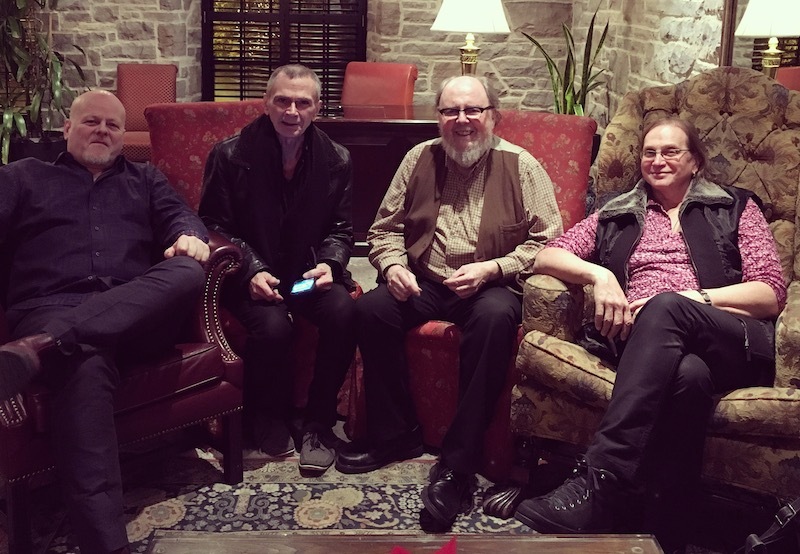 In addition to the invitation to bring the Blues Campfire to the Old Mill following our CD re-launch in October, it turns out there was a lawyer in the audience who invited us to play his company Christmas party and this is the band I put together. What a delight playing with the legendary Michael Fonfara (we had recorded together but never played a gig) as well as my dream-team rhythm section, George Koller and Michelle Josef. The Old Mill Campfire will be a little different from the traditional campfire jams. My marching orders are "nothing resembling an open mic" which kinda runs counter to the original Campfire philosophy that "everyone is welcome and long, self-indulgent solos are encouraged". They want the A-list of blues artists and are providing the budget to book them. Much as I enjoyed jamming around the campfire with stars like Matt Andersen and David Gogo, the real magic for me was bringing up a guy who hadn't taken his Larivee guitar out of the closet for 20 years (and came back the next week to tell me he had started playing it again) or that ten-year old kid named Charlie who got to jam with another Charlie (A'Court) who had some kind words of encouragement for him that I'm sure meant a lot. Or hooking up Terry Gillespie with Max Cann from the UK and having them go on to collaborate on tours and recordings. These are the times I felt like I'm doing something worthwhile. 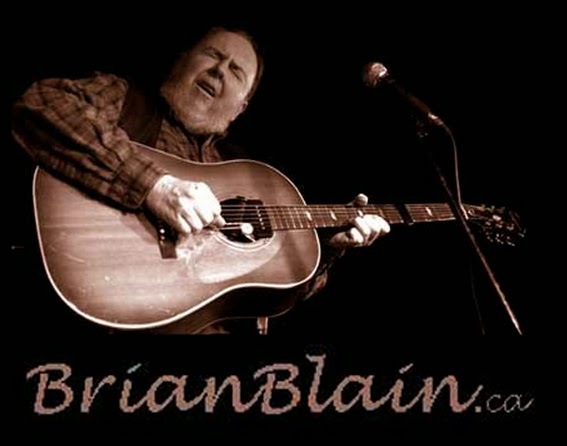 Ahead of the Old Mill residency, we will be kicking off the 2017 Campfire season with a campfire jam at Winterfolk where we will gather together some of the blues artists that Brian Gladstone is bringing up to the Danforth February 17-19. And maybe down the line we'll find a home for a more casual campfire like the old days. But it will take a supportive venue and maybe a sidekick to do the heavy lifting. Well, that will be it for this Blainletter. I did get out to some shows and have posted some Instagram clips on my blog. And while it's still the first day of the year, I'm going to go upstairs and cast my Runes and I bet you anything they will tell me the same thing they have every year..."plant the seed and wait for the harvest," "do not rush into battle" ...stuff like that. We'll see.